Selling farmland with planning consent for housing should be easy. When compared with brownfield land – where there can be all manner of complications from contamination, rights of light, demolition difficulties and so on – selling green fields ought to be straightforward. Unfortunately, it seldom is. 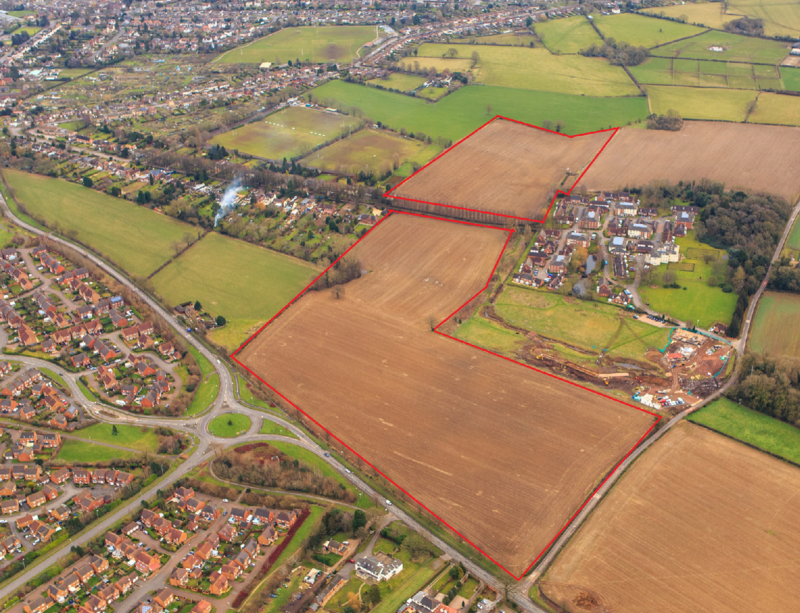 Large-scale tracts of green field land for strategic housing can often be seriously complicated by multiple ownerships – sometimes different strands of the same farming family, but just as often, adjoining but unconnected landowners. Encouraging multiple owners to co-operate along a common path towards obtaining planning consent and then an ultimate sale of the whole lot to a housebuilder is the tricky bit. There is of course no typical landowner. Over the years I’ve dealt with a fractious farming family where one clan wasn’t on speaking terms with the other; equally I’ve been treated to hearty lunches around the Aga as hospitable farmers contemplate the pot of gold that’s coming their way. The most frequently used method of enabling co-operation is through a Collaboration Agreement. Here the multiple owners will agree in advance how land sale proceeds will be split between them and the agreement will bind each to act collaboratively in the common good. This means that any thoughts of ransom over one another will be set aside and a single, harmonious voice can be presented to the planning authority. Assuming that obtaining planning consent seems like a runner, the parties may also be encouraged (if it’s not already dealt with in a Collaboration Agreement) to enter into an Equalisation Agreement. This type of agreement between the owners is usually required on large sites with development obligations for perhaps a new primary school, sports fields, highway improvements or upgrades to sewers. One landowner may find that there is an unfair proportion of land loss on their site for these wider benefits, so there is an agreement to equalise the proportionate cost amongst all landowners in a spirit of fairness. One disadvantage of equalisation payments between owners is that the tax man currently doesn’t allow such payments to be set off against the capital gain for CGT purposes. Farmers in particular see a significant capital gain between agricultural value and residential land value, so the inability to set off an enabling payment can be quite a disincentive to sell. An effective solution being used increasingly is the Land Pool Trust. Under this mechanism owners transfer their landholdings into a common Trust in which they each become trustees; this may give an initial requirement for SDLT but other tax advantages usually outweigh this. The entire site is then owned by the Trust and respective landowners have shares in the Trust ownership in proportion to their original acreage or value. When any part or all of the Trust’s land is sold, trustees receive their due share of proceeds. In most circumstances it is better for landowners to put their land into the Trust in proportion to value rather than land area. This is because landowners sometimes want to hedge their bets by pooling as much land as possible, irrespective of the likelihood of obtaining planning consent. In reality, areas of woodland, ponds, nature reserves and so on are never likely to be developed, so it would be unfair on other landowners to have these unproductive areas skewing the profit share. Many Land Pool Trusts appear to work well and even the Government appears to have latched on to the merits of land pooling. Last year’s Housing White Paper raised the prospect that local authorities and other public bodies could place their own land into land pools to stimulate releases by other owners. The Government ignored some excellent examples at home and instead drew on a case study from Germany. The German example involved 80 different landowners so maybe the point was that; if it can work with 80 owners, think how easy it could be with, say, only four. The fact is nothing is easy when it comes to development land. I have on my desk an instruction to value 105 acres where there are three landowners in a Land Pool Trust, an Equalisation Agreement, an Overage Agreement and all of it under Option to a housebuilder. All being well, this should facilitate a decent land price for all three when the first brick is laid but I am endeavouring to write a valuation report in terms that the reader will understand. I’m in danger of drowning under a pile of documents, however I am enjoying the human interaction with lawyers, a patient housebuilder and the farming landowners. It is the latter who provide the animated drama because it’s their once in a generation chance to ‘get it right’, so everything matters. A few years ago a colleague was chased off some farmland by the landowner waving his shotgun. By contrast, in the same year I enjoyed a day out at York Races with a farming family, grateful that we’d persuaded Yorkshire Electricity to shift overhead power lines from their land releasing a good deal of value. All of us in property relish doing what we do because of the characters involved; long after the deal has been done and the legal documents have been filed away, it’s the personalities that we remember.